Add some color and fun to Easter this year by making some festive and yummy Easter desserts and treats. Not only will you enjoy making, looking at, and eating these fun desserts, but everyone will love you for it! We’ve rounded up some of our favorite Easter desserts and treats from around the web, so we do hope you enjoy. You can view the full recipe for these treats and desserts by clicking on the link below each image. Fast, EASY, super soft, and loaded with chocolate M&M Eggs galore!! Definitely my favorite type of Easter eggs! 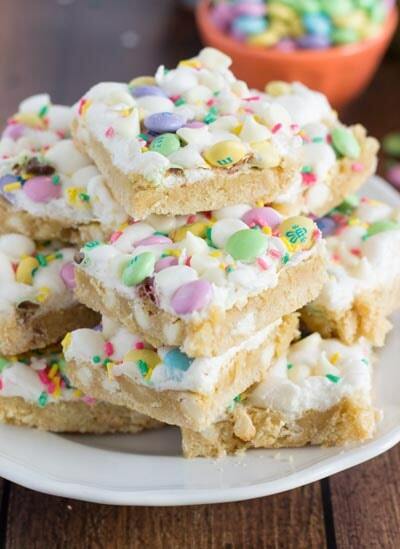 SAVE this recipe for your leftover Easter candy!! 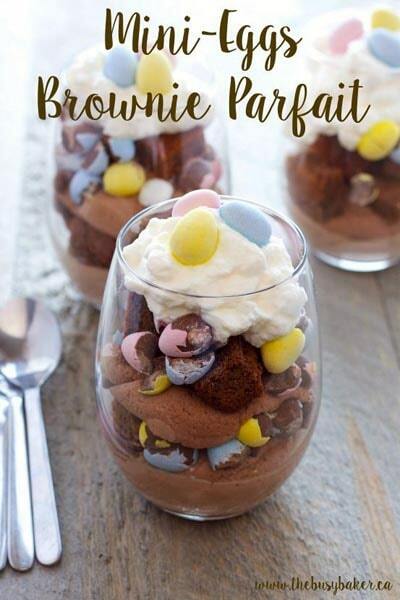 These Mini Eggs Easter Brownie Parfaits are the perfect easy-to-make Easter treat that everyone will love! 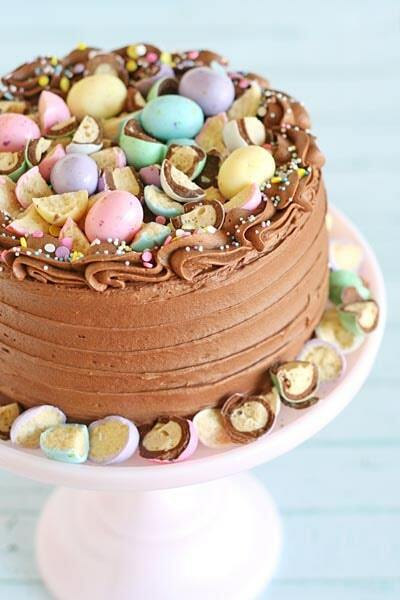 Delicious chocolate cream, fudgy, chewy brownies, and everyone’s favourite Easter treat: Mini Eggs! 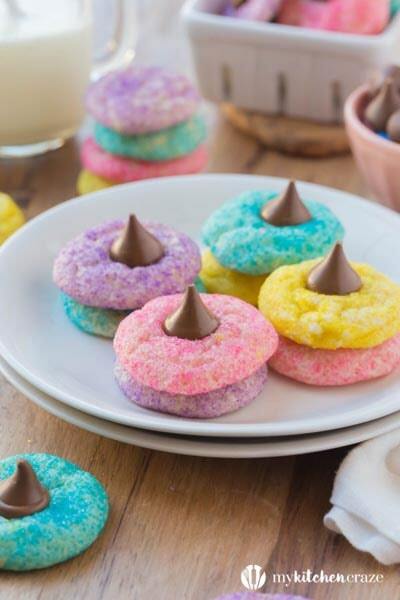 A few swirls here, a few polka dots there, and a few stripes is all you need to create adorable, simple Easter egg sugar cookies. 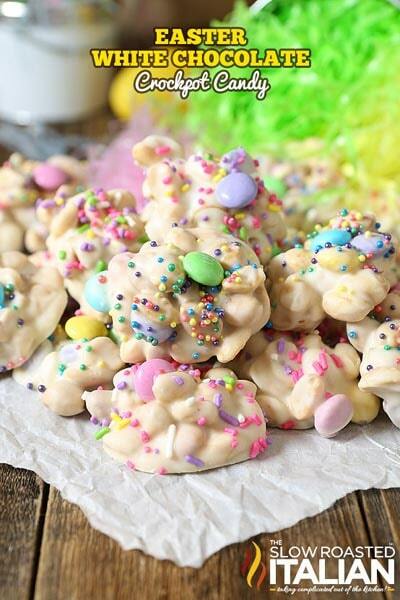 These Easter Muddy Buddies are perfect for an Easter snack or Easter dessert – this recipe will quickly become one of your favourite puppy chow recipes! 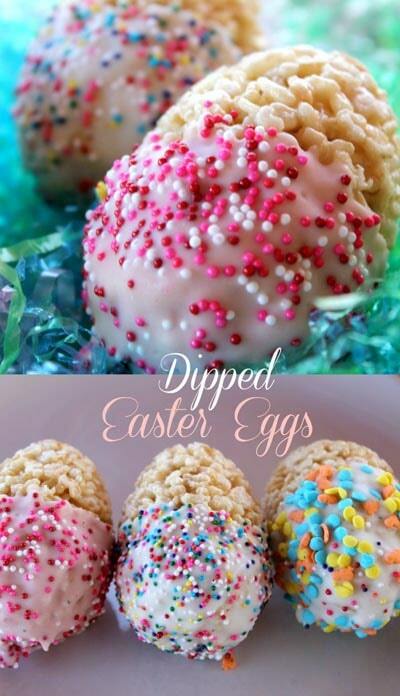 We take the classic Rice Krispie Treats recipe and make colorful Rice Krispie Easter Eggs treats that both kids and adults will love. Confetti bars made with Spring colored M&M’s, white chocolate, Spring sprinkles, and gooey marshmallows. These easy desserts are sure to please a crowd! 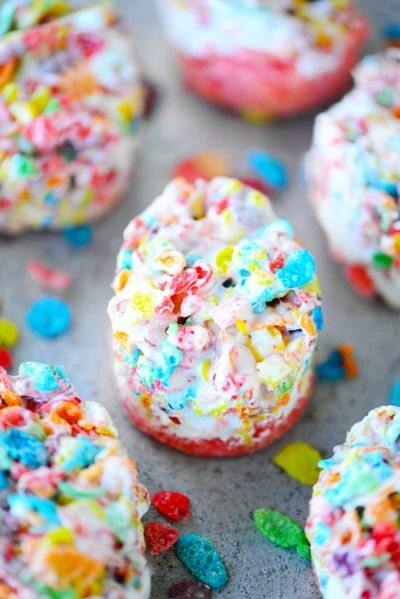 Strawberry Ooey Gooey Bars have a strawberry cake mix crust with marshmallow cream and fruity pebbles treats on top. They are irresistible to kids of all ages! The cupcakes are topped with the most amazing frosting! It’s got cream cheese, white chocolate, AND butter. Can you get a better combination?!? Looking for an easy Easter dessert? These Easter No-Bake Mini Cheesecakes are perfect! 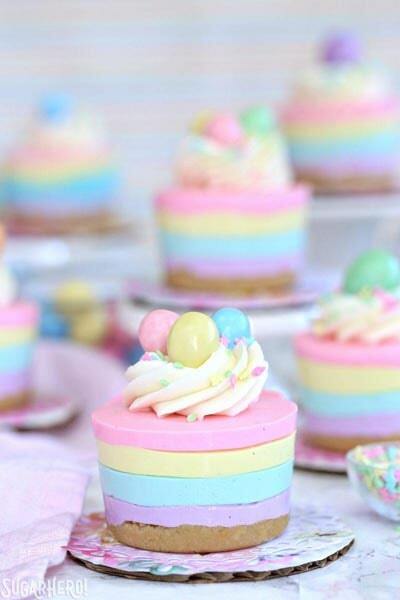 They’re cute pastel striped cheesecakes that are simple to make, no baking required! This easy 4-ingredient Easter Fudge is a fun and festive treat everyone will love. Its rich chocolate-y fudge is filled with soft marshmallows and candy-coated mini chocolate eggs. It’s a scrumptious way to welcome Spring and only takes 4 ingredients and 5 minutes to make. 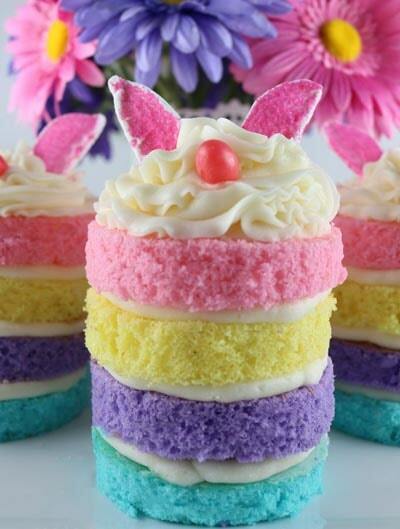 Bunny Mini Cakes are a fun Easter dessert that is a unique take on an Easter Cupcake. These are the best M&M Cookies I’ve ever had. They’re soft, moist, and tender in the interior with perfectly chewy edges. The dough is buttery, with hints of vanilla. 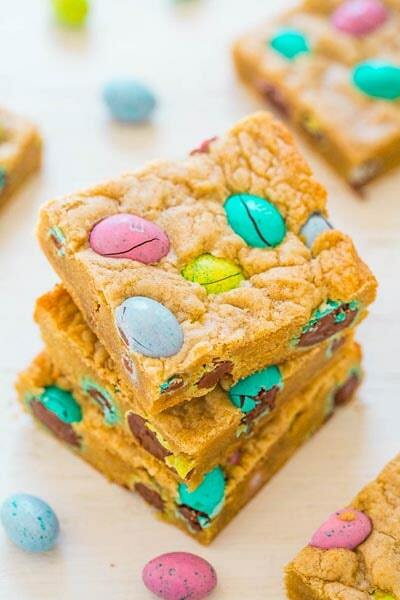 There’s an abundance of M&Ms in every bite. 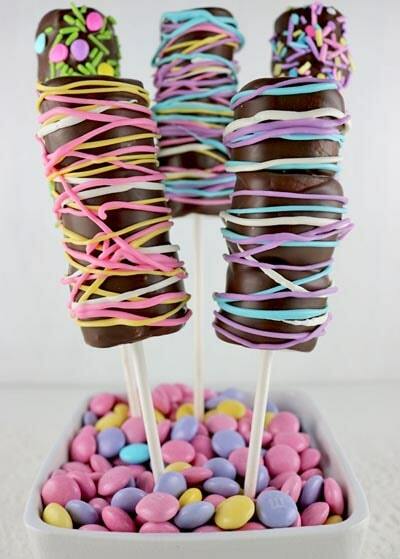 Your family will love these Springtime Marshmallow Wands. But then who wouldn’t love marshmallows on a stick covered with chocolate and decorated with sprinkles? 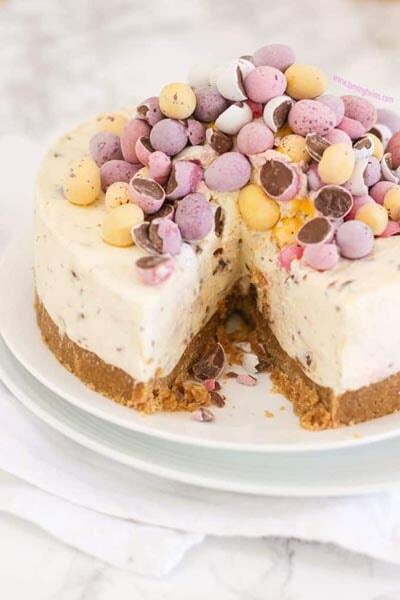 This easiest ever No Bake Easter Mini Egg Cheesecake recipe is packed with Easter chocolate treats. A crumbly biscuit base, topped with whipped cream and cream cheese, an absolutely delicious dessert. White Chocolate Easter Crockpot Candy Clusters are a simple, impressive 3-ingredient homemade Easter candy that everyone will be raving about! An easy recipe that you layer in the slow cooker, stir and scoop. It is so easy it almost makes itself. Peanut Butter Easter Eggs are simple to create and the chocolate peanut butter combination make the perfect soft and sweet filling! Easy 6 ingredient dessert recipe for Easter. 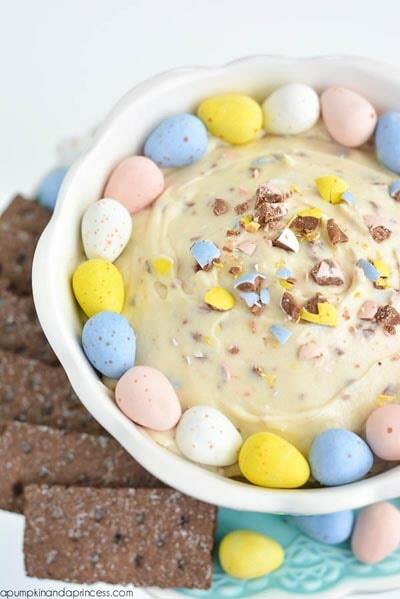 If you love malted milk or Whopper robin eggs, then you will love this festive Malted Milk Easter dip. 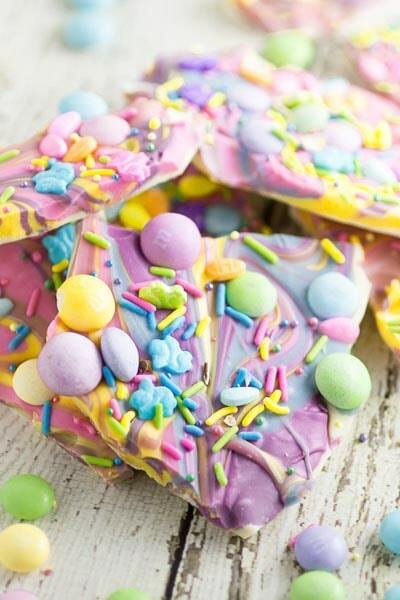 Make this super easy, delicious, and adorable White Chocolate Easter Bark recipe in the microwave in just 20 minutes for a fun no bake Easter treat. 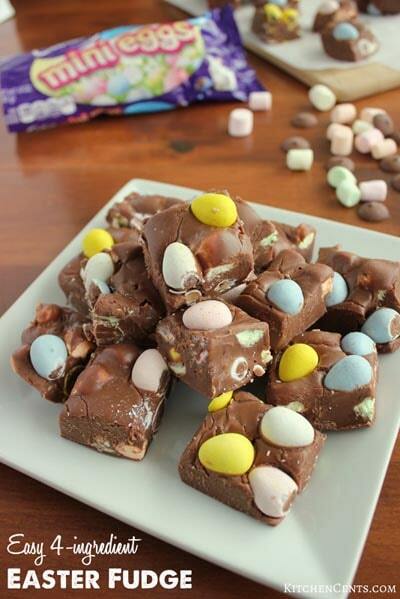 This Easter Fudge is loaded with malted milk balls and so fun for Easter! This 5 minute fudge comes together easily with no cooking required. 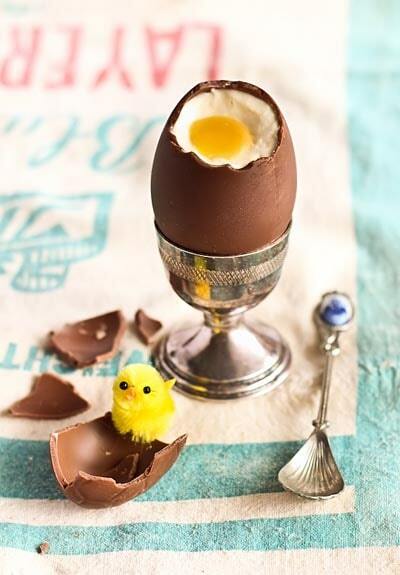 A delicious Easter (or anytime) treat! Simple cheesecake filling is studded with Oreos, baked in muffin pans, and topped with chocolate shavings and candy eggs for Bird’s Nest Mini Oreo Cheesecakes, a fun spring dessert recipe that’s perfect for Easter! 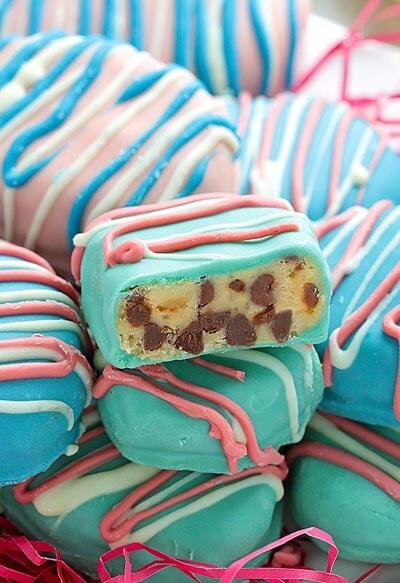 Soft, chewy cookies, topped with a chocolate candy. What cookie could be better than that? 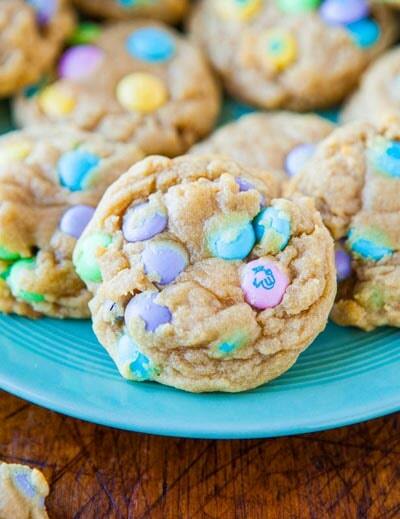 These cookies are a delicious treat and perfect for Easter. These easy butterscotch haystacks desserts are perfect Easter nests and so yummy too. 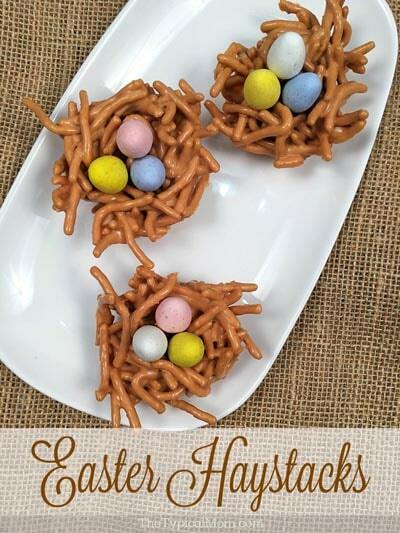 A crunchy and creamy peanut butter treat with chocolate eggs in the shape of a bird nest they are a no bake dessert kids can help you make with a delicious butterscotch flavor. 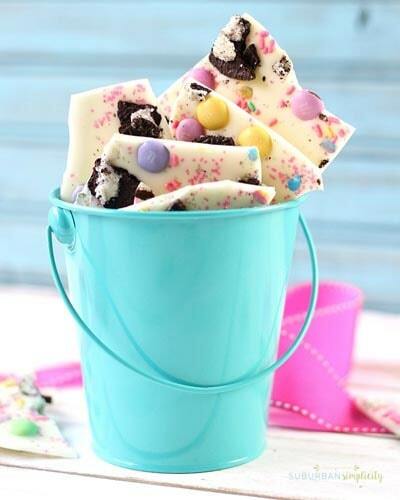 Make this easy and delicious Easter Oreo Bark Recipe in less than 5 minutes. It’s a simple and irresistible Easter dessert idea that’s perfect for a crowd! 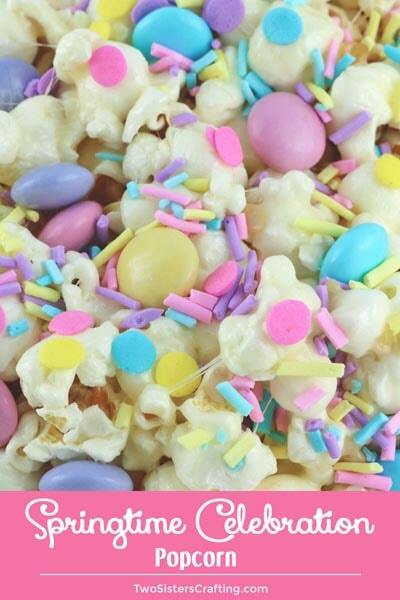 Springtime Celebration Popcorn is a colorful and yummy popcorn dessert – the perfect combination of sweet, salty and crunchy in a single bowl. These dipped Easter egg treats are so easy to make and kids will have a blast helping out in the kitchen. The best part about this recipe is that you can add all sorts of sprinkles and other ingredients. 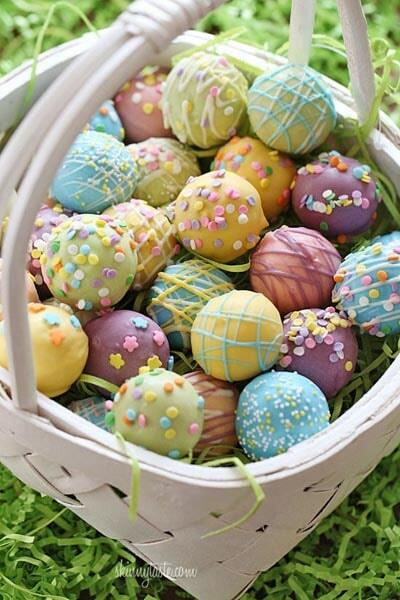 A fun Easter dessert idea, cake balls decorated as Easter eggs! Put them in a basket and watch them disappear. Cute little bunny butts on top of delicious white cupcakes! 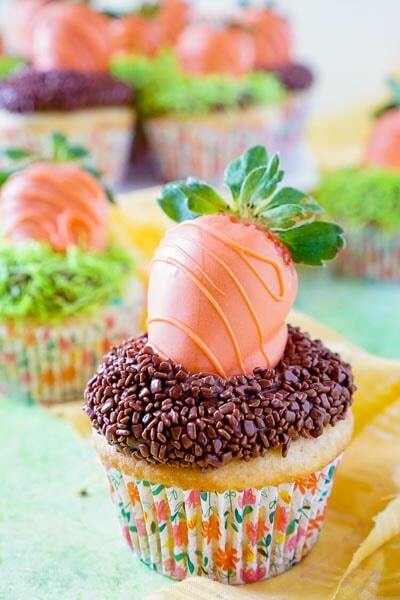 These are easy to put together and the perfect Easter Cupcake. A perfectly moist and flavorful chocolate cake is topped with delicious chocolate malt frosting! 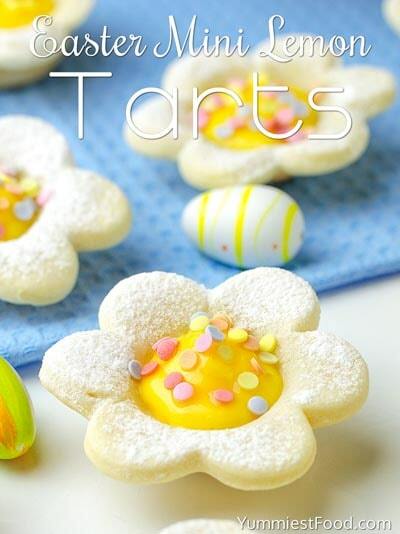 Easter Mini Lemon Tarts are the most refreshing little bite of something sweet and delicious! Simple, quick and easy dessert is perfect idea for Easter, spring and Mother’s Day. 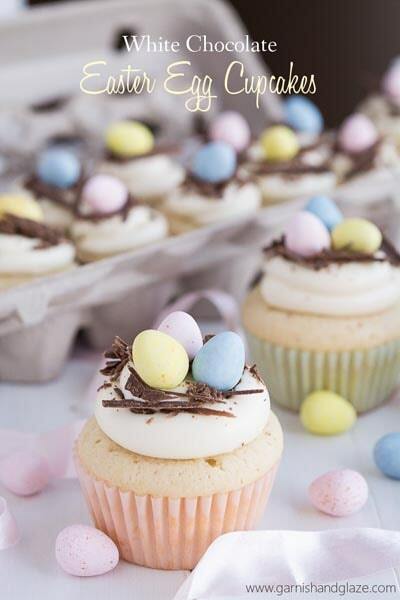 Take boxed cake mix to the next level with these Easy Easter Cupcakes that are so fun and simple to make! 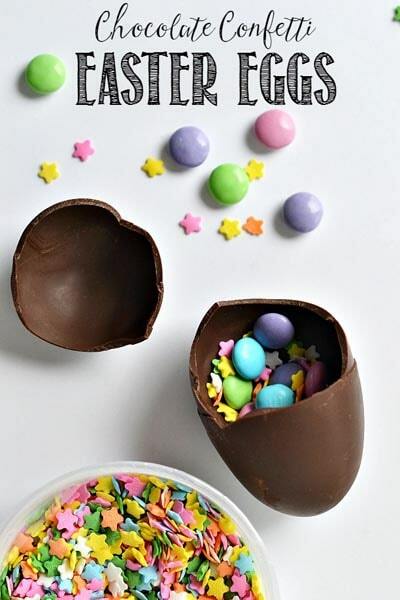 Here’s this year’s fun Easter treat–chocolate confetti eggs bursting with sprinkles and candies inside! These Peeps S’mores are SO easy to make and such a great twist to traditional s’mores. 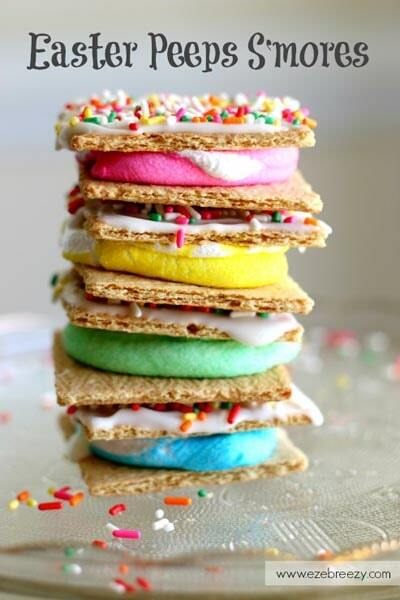 You just need some graham cracker squares, Peeps, sprinkles and chocolate. To be fair, these cakes are a fair amount of work. 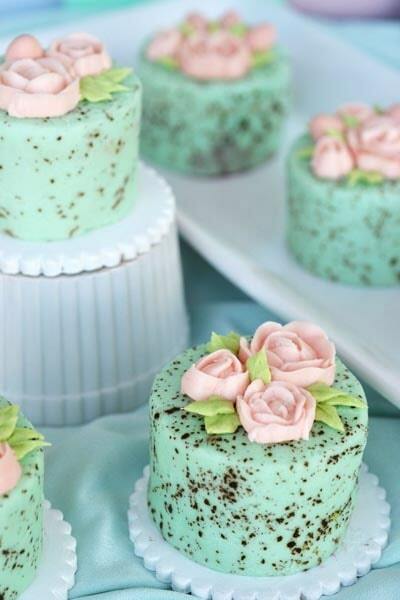 But if you love decorating cakes, and you love a bit of a challenge, then you will adore making these mini speckled egg cakes! Not to mention that they’re incredibly cute and your guests will just love them. If you’re looking for a really easy and light dessert to serve up after a big meal during the Easter break, then these are for you. They can be eaten with a small spoon or devoured like a creme egg, whatever floats your boat. 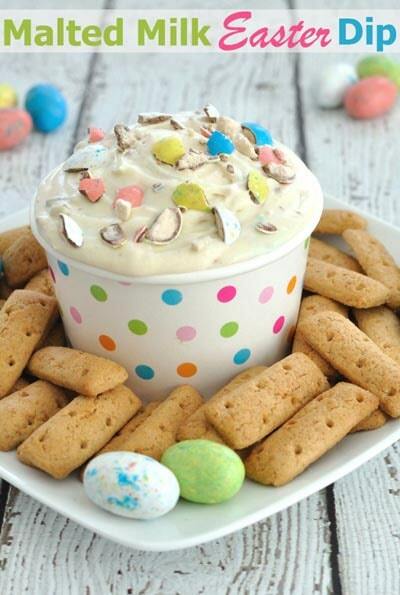 A creamy cheesecake dip made with crushed Cadbury Mini Eggs candies. This dessert dip is perfect for a potluck or Easter brunch. 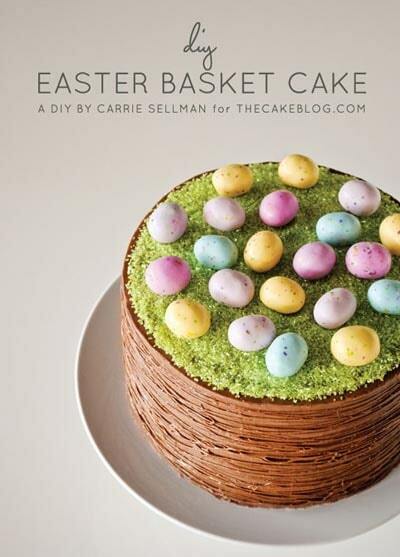 An elegant Easter Basket Cake inspired by grapevine baskets. Learn how to make this simple no-tools-required cake with a step-by-step tutorial. 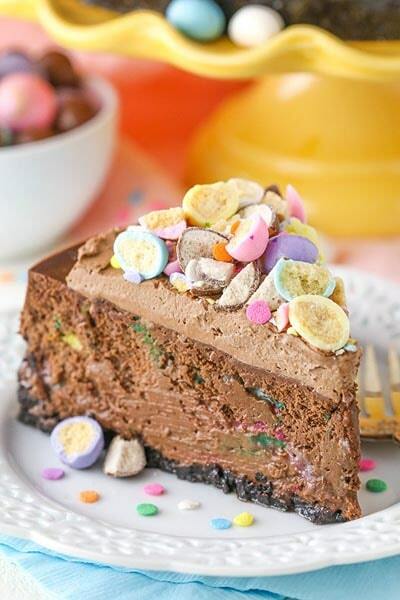 This Malted Easter Egg Chocolate Cheesecake is thick, creamy, full of chocolate and perfect for Easter! It’s also decorated with my favorite Easter candy – malted eggs! These cute little, edible nests are adorable for Easter. Wouldn’t they look sweet at each place setting around the dinner table!? 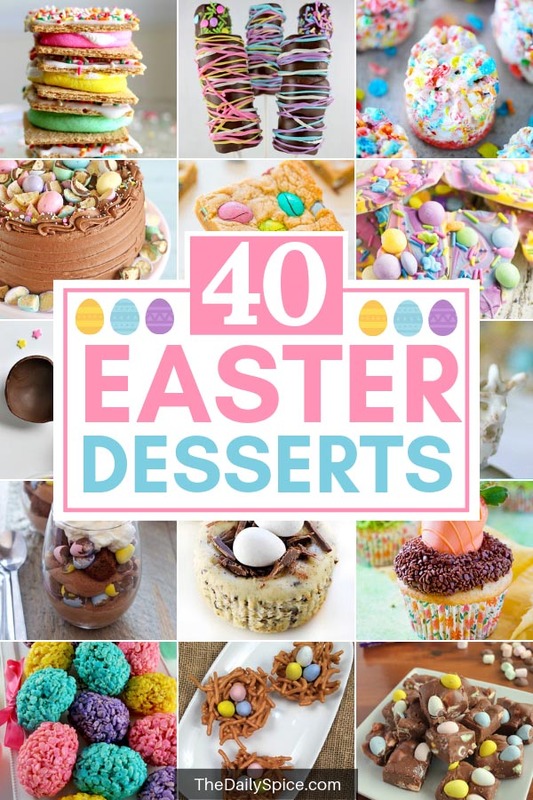 Pin these Easter Desserts And Treats for later! 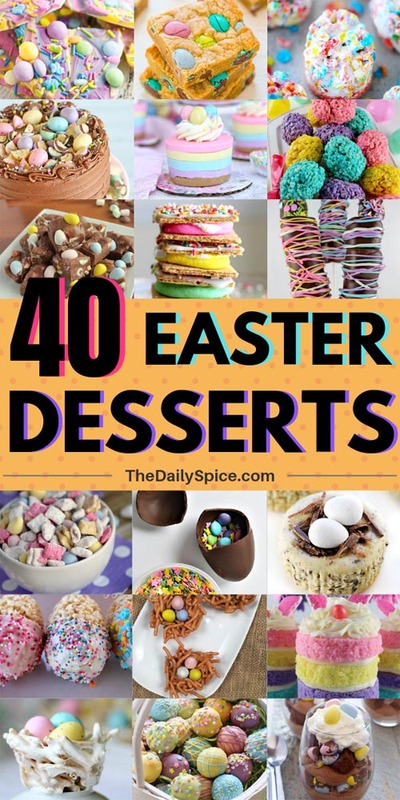 If you enjoyed this list of Easter Desserts And Treats, please take a moment to pin it to your Easter board on Pinterest or share it on your favorite social media platform.